The unifying thread driving my research program is a focus on how human disturbance affects adaptive decisions of organisms as they attempt to optimize competing fitness-maximizing goals, and how these resulting tradeoffs ultimately modify the persistence and resilience of wildlife populations. 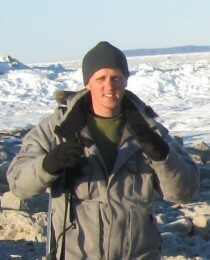 My experience with conservation issues is based on a strong theoretical background in behavioural ecology that is combined with field studies, state-of-the-art quantitative methods such as agent-based modeling and system dynamics modeling, quantitative statistics, econometric models of human behaviour, and GIS applications. I joined the Great Lakes Institute for Environmental Research at the University of Windsor in January 2013. 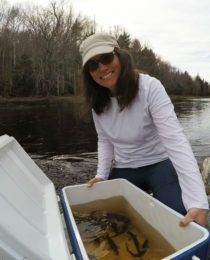 Kevyn began as a Research Associate, focusing on the Atlantic salmon study. 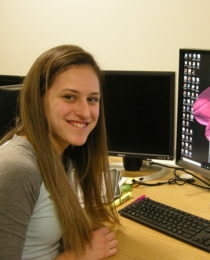 She assists all members of the lab with their projects, including project development and troubleshooting, software training, and developing video analysis methods. 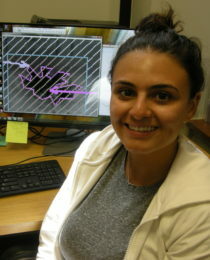 Her background includes using colour spectrophotometry methods and comparative analyses. Cody is co-supervised by Dr. Grant Gilcrest at Environment Canada’s National Wildlife Research Centre. Cody is interested in the movements of Polar bears in the Canadian Arctic. After collecting data in the wild, Cody will use modelling techniques predict habitat usage patterns of this declining species. 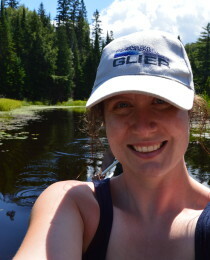 Kathleen recently completed her PhD in Jim Grant’s lab at Concordia looking at behaviour and personality in Atlantic salmon and cichlids. Kathleen is currently assessing the personality of Atlantic salmon over multiple tests with different stimuli, and aims to ultimately link personality traits to metabolic rates and anti-predator behaviours in a naturalized mesocosm. 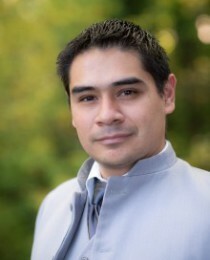 Rodrigo is co-supervised by Dr. Sean Cox, and is based at Simon Fraser University in British Columbia. Rodrigo’s work examines migration patterns of the Monarch butterfly throughout North America using social-ecological modelling. 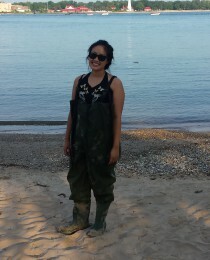 Theresa comes from a background of undergraduate research with contaminants and the Round Goby in Sigal Balshine’s lab at McMaster University. 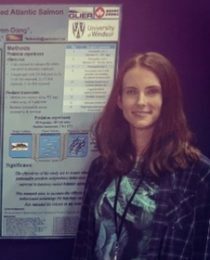 To try out something a little different, Theresa will be focusing on the behaviour and physiology of maternal effects on salmon offspring under Human-induced Rapid Environmental Change (HIREC) conditions. Theresa is co-supervised by Dr. Oliver Love. 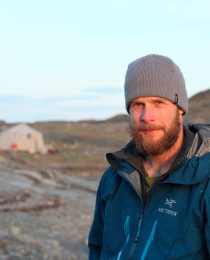 Patrick spent the summer field season in East Bay Island, Nunavut, to get a head start on his Master’s research examining polar bear foraging ecology. 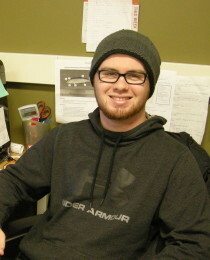 He will be co-supervised by Cody Dey, and is excited to be a part of the East Bay team! Erica moved to Windsor from New Brunswick, where she recently completed her undergraduate degree at Mount Allison University. Her Honour’s thesis at Mount Allison investigated the movement patterns of Semipalmated Sandpipers and Semipalmated Plovers within Eastern New Brunswick. 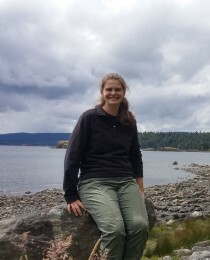 Under the co-supervision of Dr. Christina Semeniuk and Dr. Oliver Love, Erica’s Master’s research will aim to link behaviour, ecophysiology, and evolutionary ecology in the common Eider, and to study the effects changing environment has on their fitness. Lida measured behavioural and gene expression differences between established and invasion front populations of the Round goby in the Great Lakes. She completed her genetic work with guidance from her co-supervisor, Dr. Daniel Heath. 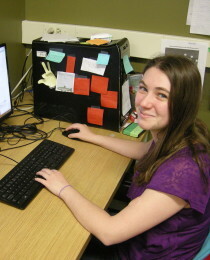 She is currently in the process of revising and re-submitting her manuscripts, as well as training and assisting Love Lab member Colin Finerty with his genetic expression work in Lake Ontario Chinook salmon. Lida’s work was supported by a CAISN project grant. Ian is a Biology and Biotechnology double major, but has dived in to ImageJ analyes, behavioural analyses for the Jacking project, and will be researching the different conditions behavioural tests are conducted. Ian has spent the summer of 2017 researching predator and alarm cue training in hatchery-reared fish, and ran a large behavioural experiment with Atlantic salmon. He’s currently completing the video analysis from that experiment for his undergraduate thesis. Chelsea is working Master’s students Patrick and Erica exploring Common Eider-Polar Bear interactions in videos collected during the 2018 field season on East Bay Island, where 50 trail cameras were deployed in a network. 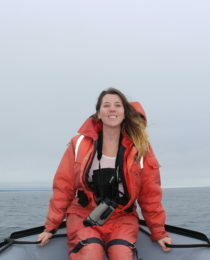 Mackenzie’s thesis focuses on differences in behavioural responses of new stimuli that can be attributed to priming with a stress (cortisol) signal and/or egg rearing temperature in Chinook salmon fry. 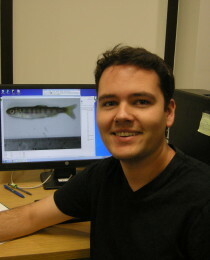 Eric is using ecological models, with traits based on an extensive literature review, to predict salmon behaviour and survival under different environmental conditions. 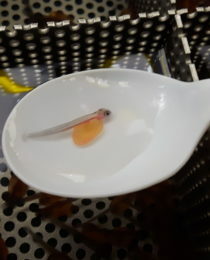 Emilie’s undergraduate thesis explores Chinook salmon fry group responses to new stimuli that can be attributed to priming with a stress (cortisol) signal and/or egg rearing temperature. Shelby is analyzing the behaviour of Atlantic salmon fry, some of which have been primed with an alarm cue, to examine if this practice can help post-release survival through anti-predator behaviour. 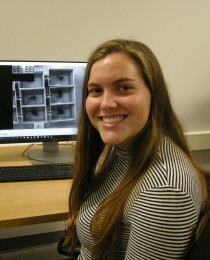 Chelsea is an Environmental Science student and is currently working on the Atlantic salmon predator training experiments, quantifying morphology in imageJ and organizing the large data set. Copyright Semeniuk Lab 2015. All Rights Reserved.